We have 3 locations to serve you in Eastern Iowa. Two Chevrolet dealerships…one in Blairstown and one in Tama / Toledo. Our Chrysler, Jeep, Dodge and Ram store is in Belle Plaine. This is also the home to our Business Link and Commercial Truck Center. 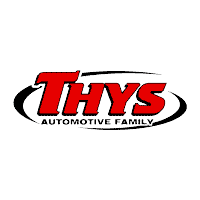 Thys Automotive Family, now Thys Automotive Famliy offers a great selection of new and used automobiles. If you’re in the market for a new or used vehicle you’ve come to the right place. We are known for exceeding expectations and offering exceptional service along with offering great deals on our vehicles. Being a part of several small communities keeps us grounded with the small town service you have come to expect.